This lei was accepted into the Beaverton Arts Commission 2012 Visual Arts Showcase that runs from November 3rd to 11th, 2012. It was my first time I submitted my feather work to an Arts Showcase. 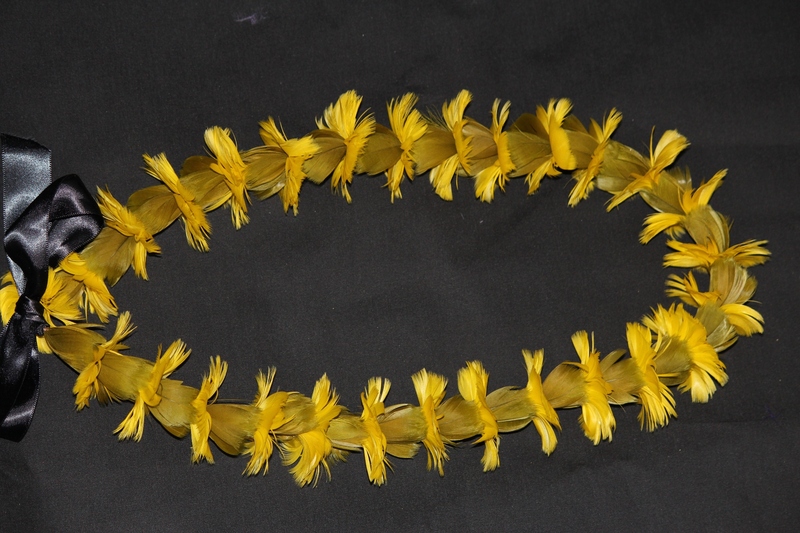 The Lei ‘Ōkole‘oi‘oi (Marigold) uses both the Wili Poepoe and Lei Kāmoe styles to create the Lei ‘Ōkole‘oi‘oi. This entry was posted in Feather Artwork. Bookmark the permalink.